EPHRATA – Law enforcement is investigating threats to “shoot” county sheriff’s who have announced they will not be enforcing Initiative 1639. 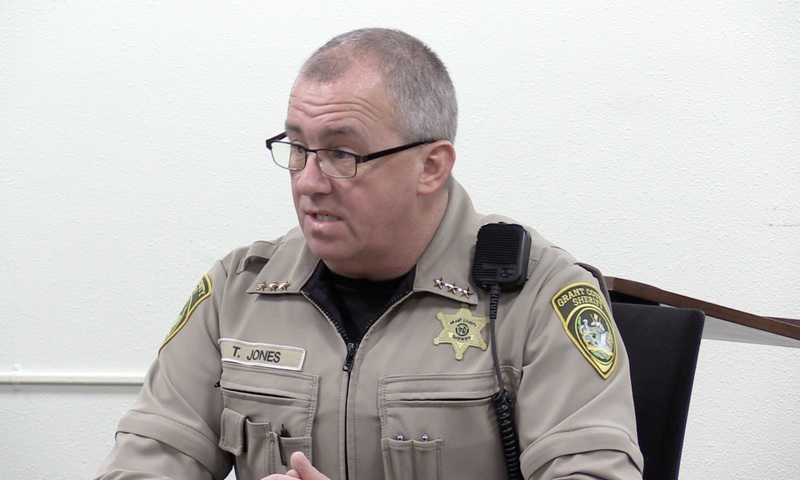 Spokane County Crime Check received information Monday regarding several threats online, including a threat stating “i am going to kill every single one of them” on a shared news story where Grant County Sheriff Tom Jones announced his office is not enforcing I-1639. Sheriff Jones is aware of the threats and the sheriff’s office is assisting in the investigation. The Spokane County Sheriff’s Office did not release the name of the suspect, although the statements come back to a Facebook account with the name “Jaydin Ledford,” claiming to live in Omak. The Facebook account includes a comment referencing Republicans, stating “i am going to kill every single one of them,” according to the sheriff’s office.